Selling your property? Looking to buy? 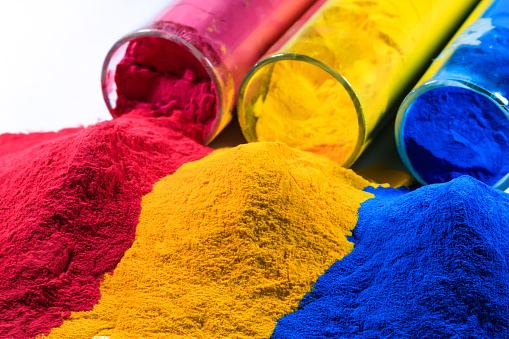 Dye testing is a common practice used to determine if your property’s plumbing is properly draining into your city, borough or county’s public sewage and sanitation systems. A dye test is conducted by a licensed plumber and typically performed for the sale of a residential or commercial property. It is enforced by many neighborhoods in the City of Pittsburgh, Greater Pittsburgh and surrounding counties. In most cases, failure to pass a dye test will require you to repair any plumbing issues before any sales transaction can occur. For instance, if your home initially passes, you’re given a certificate of compliance that proves that the structure is properly connected to a sewer line and you’re able to proceed with the real estate transaction. However, if the inspection is failed, you’re required, by law, to have a certified plumber make the necessary repairs. But don’t wait until the very last minute to schedule a dye test. Rather, contact the Pittsburgh Drain Guys before your property hits the market. 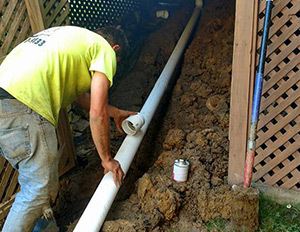 Mike and his team are able to perform the test, which ensures that a building’s sanitary sewers aren’t connected to any drains or downspouts that carry storm or surface water. And if your home doesn’t pass the first time, don’t fret. 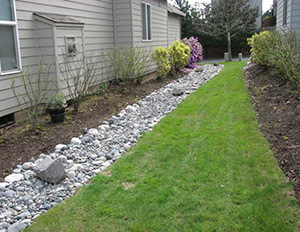 Since each property is different, they’ll tailor a solution that fits your individual needs – whether it’s simply linking the downspouts directly with the storm water sewer or completely overhauling the plumbing system – and correct any potential issues that could delay the sale of your residential or commercial property. Why go through the hassle of hiring one plumbing company to perform the test and another to fix any problems that may be found when you can just the pros from Pittsburgh Drain Guys to do both for a fraction of the price? Regardless if your home has a sanitary sewer or one that’s combined, we’ll help make this sometimes frustrating experience as easy as possible. Having a dye test is something that has to be done eventually, so why not err on the side of caution and have it performed now, instead of when the closing is in sight? For more information on dye tests, or to schedule an estimate on your home so you know exactly how much the inspection will cost, give the Pittsburgh Drain Guys a call at 412-377-9133 and be on the fast track to selling your home.